MSI pioneers only the extraordinary gaming machines for your gaming pleasure. 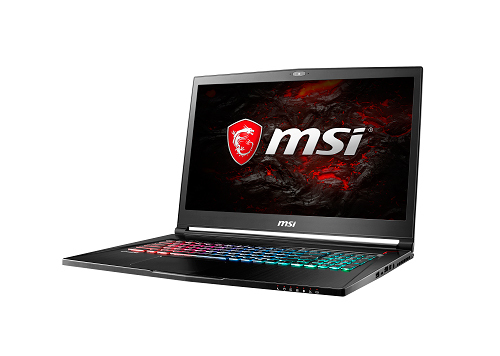 MSI is the first to intro the gaming laptops with the latest Intel 7th Gen CPU and GeForce GTX10 series GPU in the market. Gamers can get the best performance out of these two new platforms only on MSI gaming laptops. As a true gaming legend, MSI seeks to uphold its tradition to always offer the latest and the exclusive gaming features to fulfill gamers’ every desire. 7th Gen Intel Core processors are Intel's latest 14nm processors. They utilize a power-efficient microarchitecture, advanced process technology and silicon optimizations to deliver faster performance than previous generation processors. MSI now equips its GS73VR Stealth Pro with the latest 7th Gen Core i7-7700HQ CPU and GeForce® GTX 1060 graphics card. The innovative and exclusive cooling design on GS73VR, the Cooler Boost Trinity, shall dissipate the heat out of the slim chassis easily. Those who are in search of something slim, powerful and easy to carry around with, the GS73VR Stealth Pro is going to be a great choice. It’s not easy to find another gaming laptop with such high specifications (Intel core i7 and GTX1060) and powerful cooling modules (3 fans with whirlwind blades and 5 heat pipes), but only under 2.5 kg in weight (might vary accordingly on different specs) and under 2 cm thin. Moreover, it utilizes high density aluminum alloy to form the main body. The delicate brushed metal mixed with elegant full-arc shape evolves new gaming style. In the following article, I am about to show you CINEBENCH R15 and PCMark 8 test results to show you the performance difference between 7th Gen Core i7-7700HQ and 6th Gen Core i7-6700HQ CPU. By doing so, the performance improvements of the 7th gen Intel core processors shall be clear, too. What is CINEBENCH R15 test? 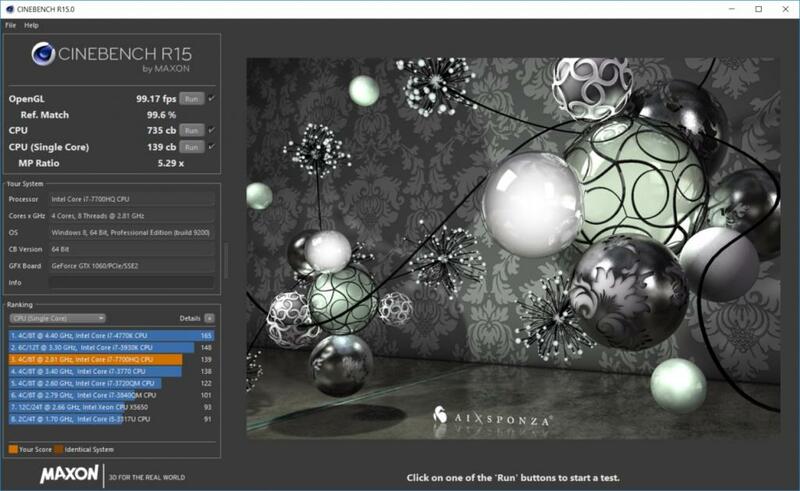 CINEBENCH R15 is a real-world cross platform test suite that evaluates your computer's performance capabilities. CINEBENCH is based on MAXON's award-winning animation software Cinema 4D, which is used extensively by studios and production houses worldwide for 3D content creation. The test scenario uses all of your system's processing power to render a photorealistic 3D scene (from the viral "No Keyframes" animation by AixSponza). This scene makes use of various algorithms to stress all available processor cores. In fact, CINEBENCH can measure systems with up to 256 processor threads. This test scene contains approximately 2,000 objects which in turn contain more than 300,000 polygons in total, and uses sharp and blurred reflections, area lights, shadows, procedural shaders, antialiasing, and much more. The result is displayed in points (pts). The higher the number is, the faster your processor is. According to the CINEBENCH R15 Main Processor Performance test, the performance of i7-7700HQ CPU showed 735cb, higher that the 674 cb score received by i7-6700HQ. 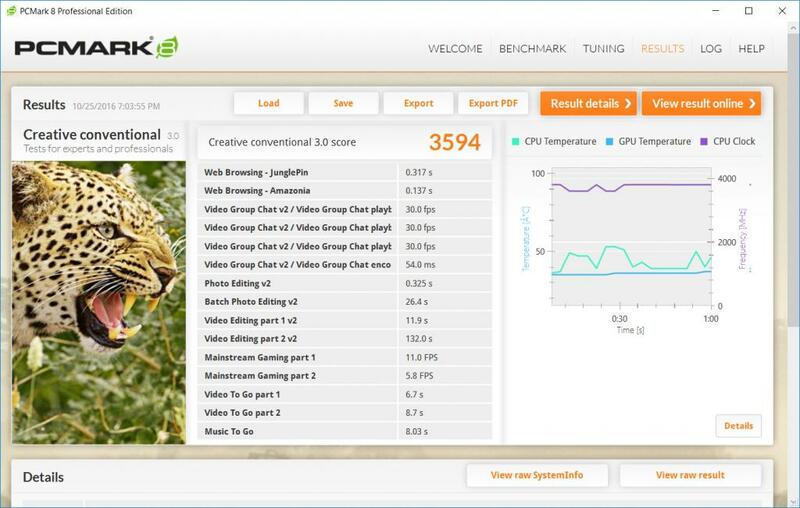 As for the PCMark 8 Creative benchmark, i7-7700HQ got 3594 Score in this test whereas i7-6700HQ got 3244 Score. By collecting and comparing all the test details and the results in below table, we can find the performance improvements more clearly. 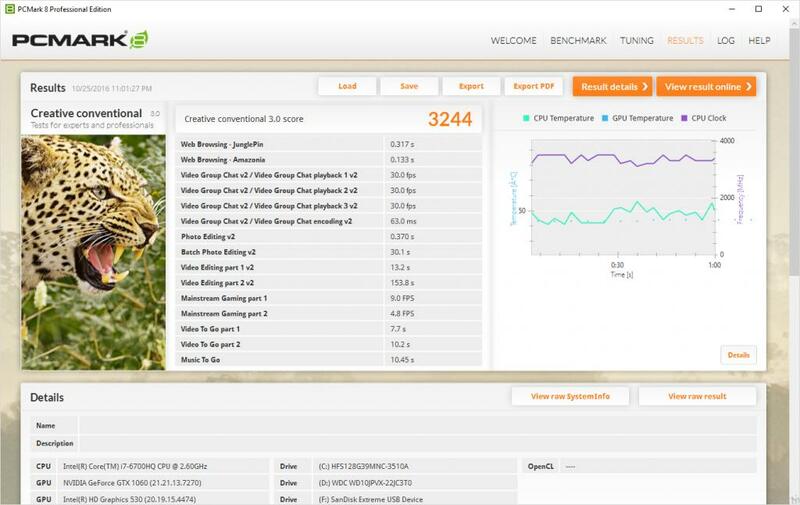 The result indicates that the performance of i7-7700HQ is 9.05% higher. i7-7700HQ performance on PCMark 8 Creative benchmark is also quite significant. Take the 4K to 1080p for example, it only takes 153.8s for i7-7700HQ to complete the task which is 16.52% faster than i7-6700HQ. Based on above simple tests, we can say that the new 7th Gen Intel Core processor will bring significant performance improvements on MSI GS73VR Stealth Pro. Gamers can for sure expect the benefits brought by the new processors.